NOTE: When using any of the options for this product, make sure to check the specifications for any special conditions or cautions that may apply to this product. *1 You can install the applications you have used. As for hardware specifications, the CPU is Intel® AtomTM E3825 1.33 GHz (Dual core/Dual thread) and the main memory is 'DDR3L SDRAM 2GB'. 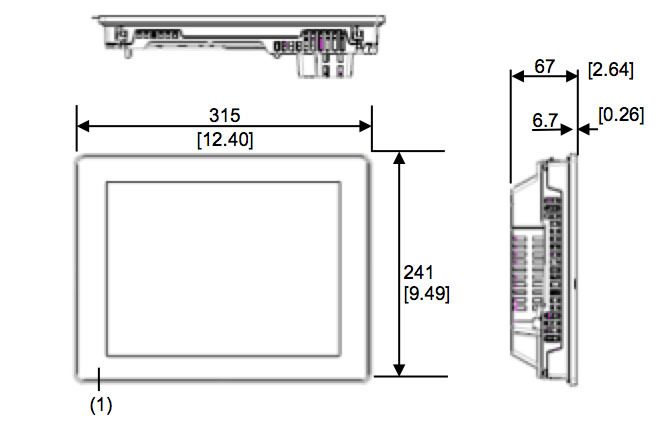 For the other hardware specifications, refer to "SP5000 Series Open Box Reference Manual". 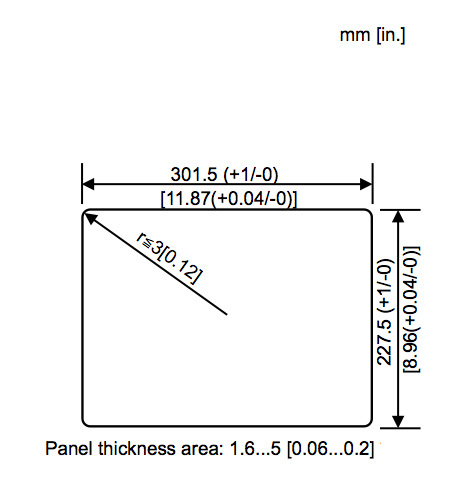 The front face of this product, installed in a solid panel, has been tested using conditions equivalent to the standards shown in the specification. Even if the installation wall thickness is within the recommended range for the “Panel Cut Dimensions”, depending on wall’s material, size, and installation location of this product and other devices, the installation wall could warp. To prevent warping, the installation surface may need to be strengthened.